Today’s busy pharmacies need the skills and knowledge of competent pharmacy technicians. Pharmacists couldn’t meet the demands for dispensing prescription drugs and provide adequate counseling to patients without the support of a capable pharmacy technician. Student education and training, along with national certification, prepares technicians for the evolving role, which includes reading, interpreting and preparing prescription orders, managing inventory, maintain patient records, billing insurance agencies, and overseeing administrative tasks. Pharmacy technicians must work under a pharmacist’s supervision, but in the same light, they will do a lot of independent work. 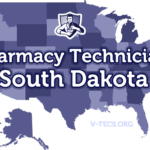 The South Dakota Board of Pharmacy requires all new technicians and technicians-in-training to register before preparing and dispensing medication. Pharmacy technicians must be honest, organized, motivated, attentive, and precise especially when dispensing patients’ medication. A pharmacy technician must submit an application of registration to the Board within 30 days of employment in a South Dakota pharmacy. Student technicians, who have not met the requirements for PTCB or ICPT certification, can register as a technicians-in-training. A grandfathered technician specifically applies to an individual with initial registration prior to 2011 without interruption and discipline. The Board encourages pharmacy technicians to take a national certification exam to register as certified pharmacy technicians. The application for registration is a collaborative effort between the pharmacy technician and the pharmacist-in-charge. Upon securing employment as a pharmacy technician, the new hire must secure the pharmacist-in-charge signature on the application for registration. Student technician must also list the pharmacy where the practical component of the training will take place, and the supervising pharmacist must also sign the application. Students must receive confirmation of registration before commencing practical training at state pharmacies. Applicants for registration must be at least 18 years at the time of registration. Pharmacy interns are exempt from the requirements for pharmacy technician registration. After successful registration, pharmacy technicians must operate within the boundaries of state regulations for their role. It includes an awareness of the duties of pharmacy technicians and operating within those boundaries. Ultimately, the supervising pharmacist is responsible for the pharmacy technician’s actions. Technicians must also wear a name tag, identify themselves when answering the phone, and renew their licenses to continue practicing pharmacy. Registration is the Board’s means of tracking and identifying pharmacy technicians and administering disciplinary sanctions when needed, so it’s important to inform the Board when changing your name, address, or place of employment. The South Dakota Board of Pharmacy requires applicants for registration to be 18 years or older. The Board recommends a high school diploma, although it is not a policy that it enforces. Pharmacy employers, on the other hand, may specifically require prospective employees to possess a high school diploma or GED equivalent. A high school education is the minimum education required by the PTCB and ICPT for national certification. All candidates for state registration must respond to the questions relating to Felony or Misdemeanor Crimes on the application form. It is important to respond truthfully to the questions – only minor traffic violations with fines under $100 are exempt from reporting. False information could lead to disciplinary sanctions and revoking of a pharmacy technician license. An admission of prior convictions or charges does not negate registration, but the Board will require further information before making a ruling. South Dakota’s pharmacy technician training programs adopt a curriculum based on a set of competency standards defined by the ASHP and the Board of Pharmacy. Currently, there are three ASHP-accredited training programs that provide students with more than 600 hours of didactic, hands-on lab, and practical training in retail and hospital pharmacies. Other training providers, including pharmacy-sponsored training, employ specific modules that cover basic pharmacy standards and professionalism in the workplace. Students can expect to learn federal and state laws governing the practice of pharmacy in South Dakota, pharmacology, brand name and generic drugs, pharmaceutical calculations, ethics and standards of professionalism, manufacturing, labelling, storage, and packaging medications and routes of administration. Pharmacy technicians should also be proficient with first aid. The prerequisite for entry depends on the trainer. The school or sponsoring pharmacy will provide full details of their unique requirements. Requirements may include a high school diploma, good moral character with no criminal convictions, and a sound understanding of English, maths, and science. Many training providers will require participants to take a TB skin test and acquire MMR, Hepatitis B, Varicella, and influenza vaccinations. At the completion of training, students are prepared to take the PTCB or ICPT exam for national certification. The duration of training depends on the student’s schedule, which could be either part time or full time. The duration also depends on the provider’s curriculum. The diploma program at Southeast Tech, for instance, is a one-year program that costs approximately $13,000 plus extra for uniform, books, and transport to and from the clinical sites. Employer-provided training offers several benefits: It’s free, comprehensive and gives students a chance to earn while they learn. The length of in-house training varies from 6 months to one year, as pharmacists prepare technicians-in-training for the national exam and registration as certified pharmacy technicians. There are two ways to obtain national certification as a pharmacy technician – through the PTCB and the ICPT. South Dakota’s Board of Pharmacy accepts both exams to register state technicians as Certified Pharmacy Technicians. Both the PTCB and the ICPT require individuals to pass an exam prior to certification. Both exams are computer-based, which allows test takers to go to a specified site to take the in a closely monitored environment. The exams are two hours and comprise of multiple choice questions; the PTCE has 90 questions, and the ExCPT has 110 questions. Both agencies use scaled scores to determine a candidate’s outcome – the results are available on the computer as soon as test takers complete the exam. The PTCB and the ICPT will mail the certificate and scaled scores to successful candidates within a few weeks of completing the test. Not have any license or registration revoked or disciplinary actions taken by any regulatory agencies. Individuals with felony convictions may write an appeal for consideration. To apply for the PTCB or ICPT exam, you must submit your application request online. Registration for PTCB certification is $129, and ICPT certification costs $105. Once the agencies approve the request, the candidates can schedule a convenient date for the exam at a Pearson Vue Center (PTCE) or LaserGrade Center (ExCPT). The PTCE tests candidates’ knowledge of the technician’s role in relation to the pharmacist, maintaining medication and inventory control systems, and management and administration. The ExCPT exam covers the dispensing program, regulations and technician duties, and drugs and drug therapy. The registration for both agencies is valid for two years; certified pharmacy technicians must complete the continuing education requirements and pay the renewal fee of $40 to maintain certification. South Dakota’s Pharmacy Board requires technicians to register by submitting an application and the respective fee within 30 days of accepting employment in a South Dakota pharmacy. Any individual who fails to comply with the registration requirements within the 30-day period will be subject to disciplinary sanctions. Similar to new hire, students enrolled in a formal training program must also register prior to beginning the practical training at local community and hospital pharmacies. Individuals may register as pharmacy technicians-in-training, certified pharmacy technicians, or grand-fathered technicians. Following are the steps for submitting a new application to the Board. Download the application for registration from the Board of Pharmacy website. Remit the registration fee of $25 using a check or money order; payable to the South Dakota Board of Pharmacy. Fill out the entire application; incomplete applications will be returned. The pharmacist-in-charge at your place of employment/training must sign the application. Enclose a copy of your PTCB or ICPT certification if applying for registration as a Certified Pharmacy Technician. Individuals applying as technicians-in-training should provide details of the training institution and the name(s) of the pharmacy where the training will take place. Include an explanation of events and court documents if responding “yes” to questions on felony and misdemeanor crimes. Pharmacy technician registrations expire on October 31 annually. The Board mails out renewal applications approximately one month before the registration deadline. The application is available online, or you can request it over the phone if you do not receive the renewal notice at your place of employment. Download and print the renewal application. Complete all the questions and check the renewal option (technician-in-training, certified technician, or grandfathered technician). Provide employment details; use a separate paper if you work at multiple pharmacies. Sign and date the application and obtain a signature from the pharmacist-in-charge. Technicians must notify the Board within 10 days of changing their names, address, or place of employment. 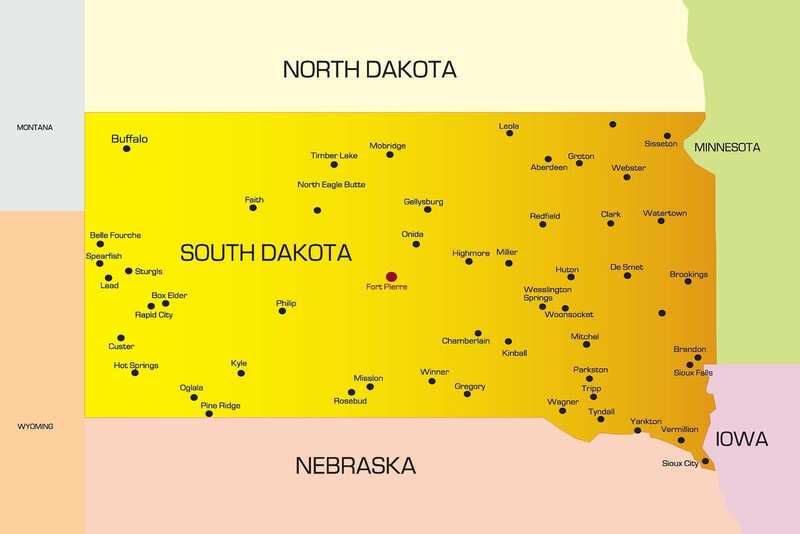 The South Dakota Board of Pharmacy does not make provisions for reciprocity of pharmacy technician registration. 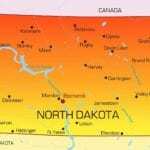 Individuals registered in another state must meet the requirements for registration in South Dakota before submitting a new application for registration.